Soca valley gives you everything you need for unforgettable mountain biking holidays. High mountains on both sides and the Emerald River Soca in the bottom of the valley make just perfect scenery. Because of the 1st world war military roads, the uphills are not steep and on the other hand, descents are long and flowy. We are organizing this holidays from 15th of April to end of October. Starting day is preferably Saturday, but we can do it also any other day. Available the option in HB and b&b. Arrival to the accommodation in Kobarid. Meeting with the guides and preparing bikes for the week. 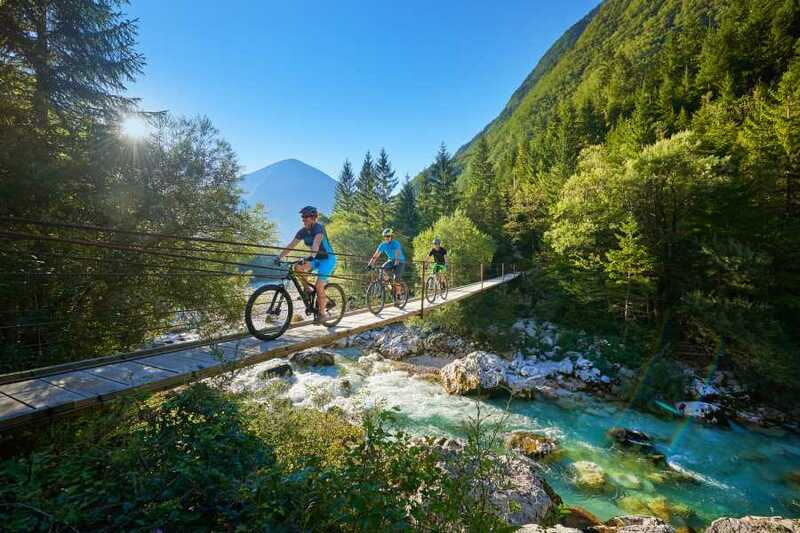 Our first biking day we will start in the very north part of Soca valley. 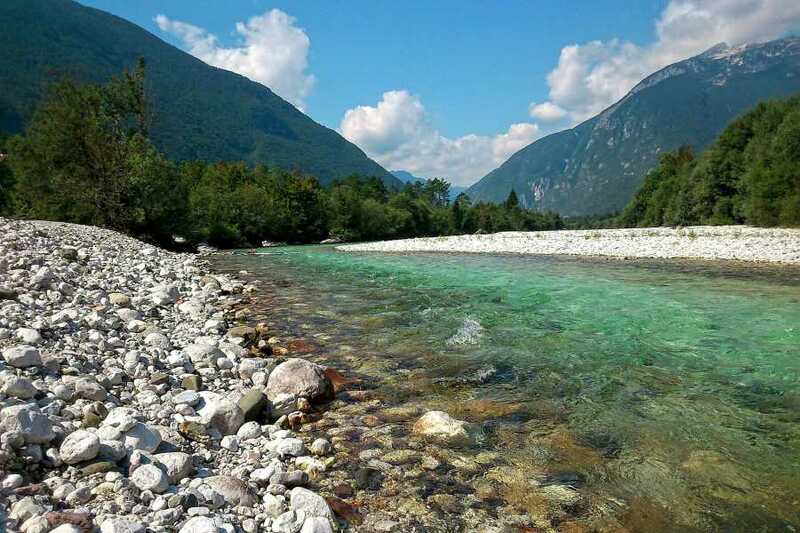 We will shuttle up to Bovec where we will start biking.Because it is our first day and we are fresh we will do a little bit more pedalling. First uphill will be to Bavscica valley. After nice warm up flowy downhill we will come to Cezsoa village where our next uphill starts. 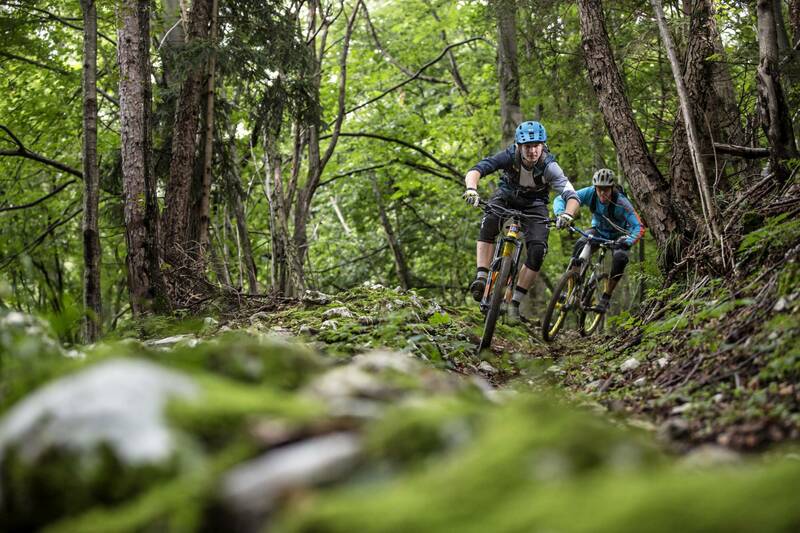 We will climb up to Javorscek which is usually stage of Bovec enduro. After short break for lunch or snack we will shuttle to half way up to mt. Mangart and after last downhill finish in local pub. After coffee we will have van uplift to ex Slovenia-Italy border. Half way up to our top today. We will be climbing up on an old military road. The gradient is just perfect. 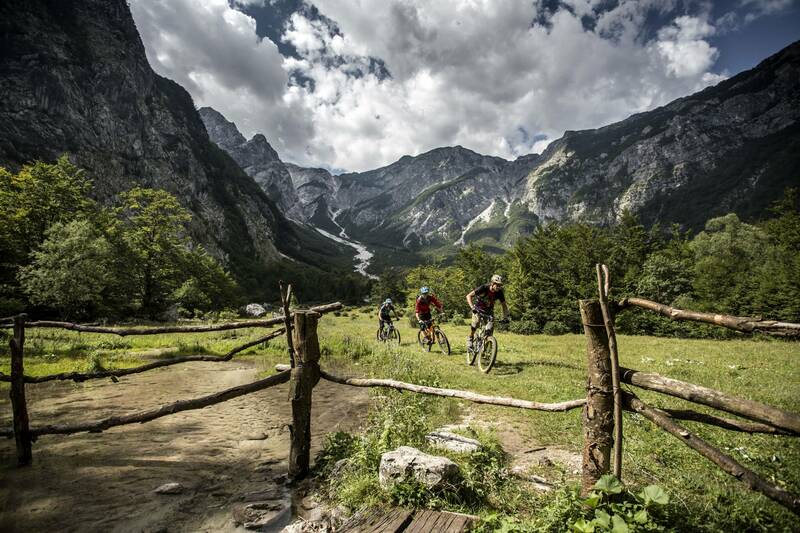 After the view to all mountains that you can see follows the downhill to village Zaga and Soca river. We will continue on left side of Soca river to village Magozd from where we will have another downhill to the magnificent waterfall Kozjak. The longest trail of the week starts on the border to Italy on the altitude 1642m and finishing in front of the best ‘’gelateria’’ in the area on altitude 150m. After well deserved ice cream and coffee, van will shuttle us back to the the mountains to our final descent to Kobarid. Shuttle day! 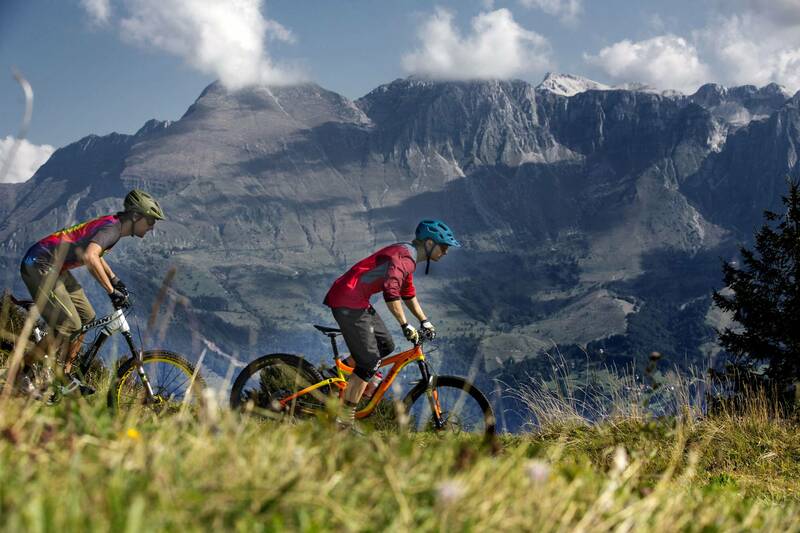 We will ride 3 trails in the south part of the valley. And today almost no pedalling. 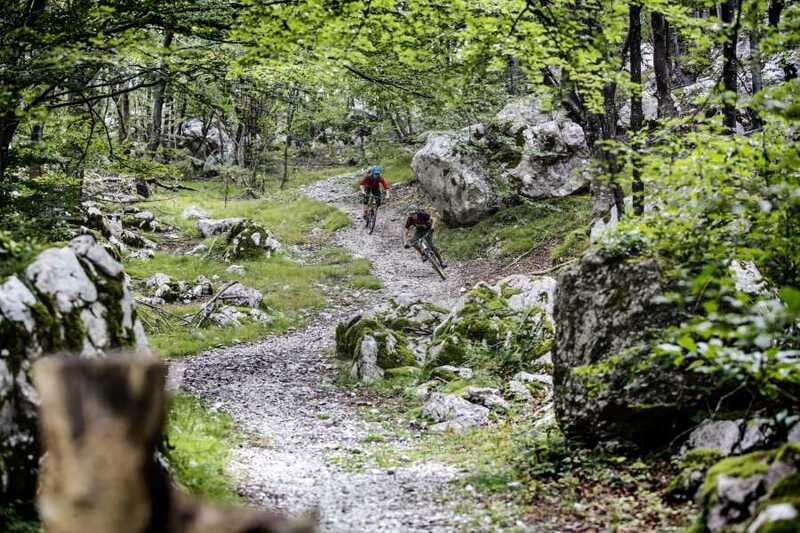 The trail, terrain and vegetation are different. It will be nice change for a day. On today trails we will follow Italian and Austro Hungarian soldiers. 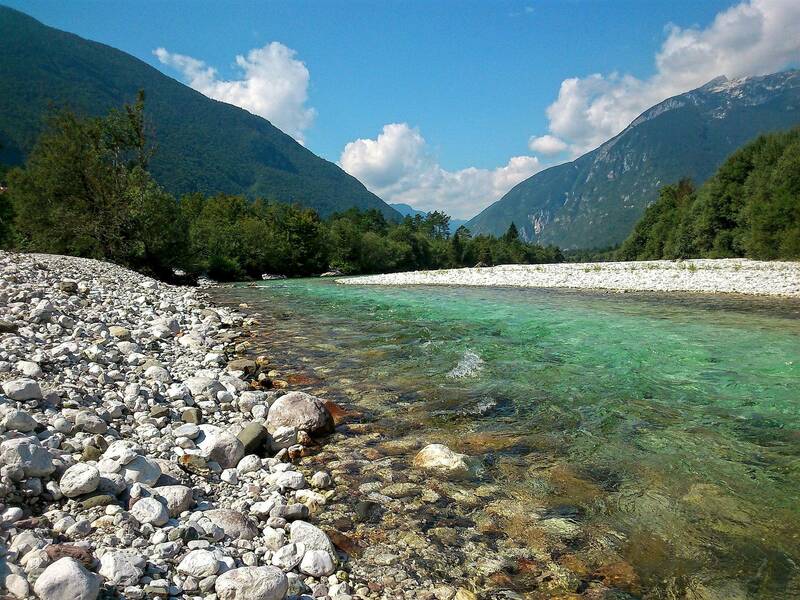 In the morning on the left side of Soca river and in the afternoon on the right one. Amazing views all day, just a little bit of pedalling and a lot of history. We will ride just below Krn mountain and on the ridge of Kolovrat on the other side. 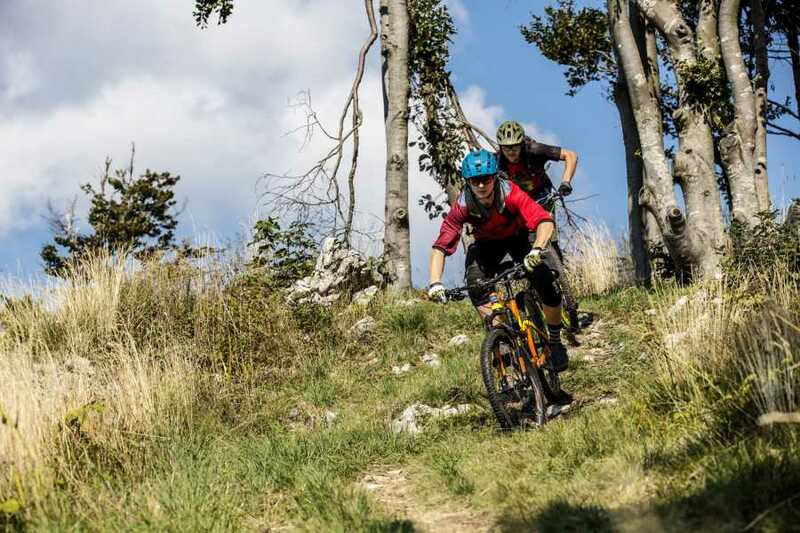 On the last day we will spoil ourselves with lift in bike park Cerkno. After numerous downhills and lunch there is another trail that will take us from ski resort almost to the village Cerkno. Driving back to Kobarid and going for a well deserved beer after the whole week. Our base in Soca valley is a 3 bedroom house in the center of small town Kobarid, surrounded by local pubs and restaurants. In the ground floor, there is fully equipped workshop and secure bike storage.